It’s me again! In case you didn’t catch the first blog, I shall introduce myself once again. 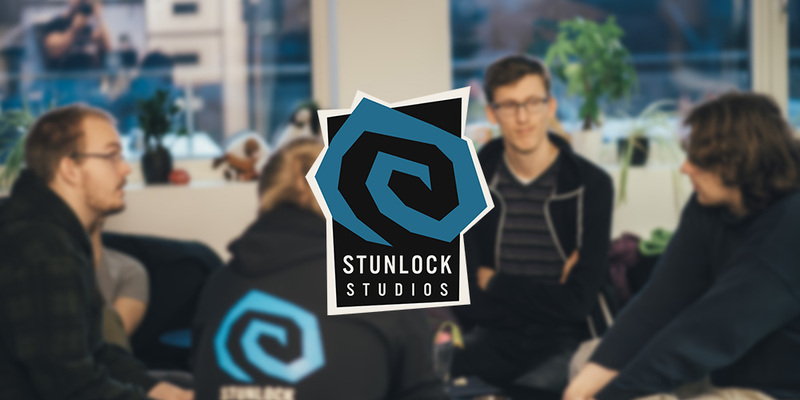 My name is Katey and I am UI Designer and Brand Manager here at Stunlock Studios. My blogs revolve around what people have been up to the previous week. My name is Konrad Petersson (IGN: Krab) and I’m a Technical Game Designer. 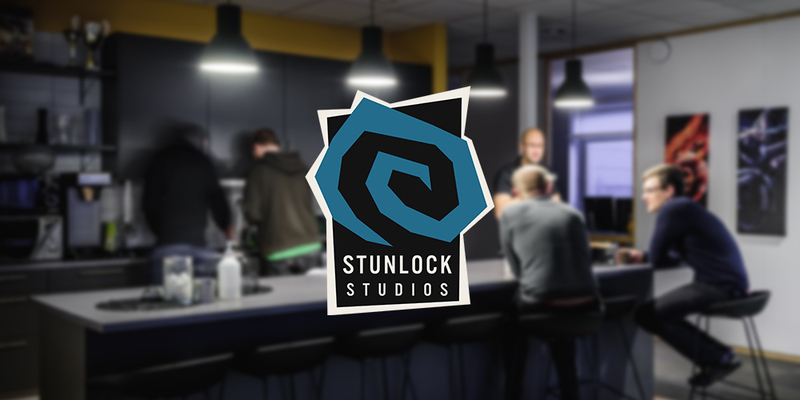 I started working here at Stunlock Studios (SLS for short) November 2016, and to be honest, I have loved every minute of it. My main focus has been designing and implementing new champions for Battlerite together with the rest of the Champion team. I also do stuff like fixing bugs, analyze and balance the game together with the rest of the Design team. This is my very first dev blog post and as many of you might have figured out already, it’s about the making of our latest champion, “Raigon, the Exiled prince”. I will go through our initial goals, how we have iterated upon the concept, bumps along the road and decisions on the way to final product (if you could ever call a champion in a multiplayer game final!) from the perspective of a designer. Hopefully it will provide you with some juicy insight on how the champion creation process works! With each champion we make, we want to improve the Battlerite roster as a whole. We have a lot of potential champion designs and art concepts lying around, which sometimes makes it hard to pick what to go with next. Creating design concepts and abilities is in many ways a creative outlet, but first and foremost, we try to identify what our current roster would benefit the most from. At the same time, we see great value in introducing new and unique abilities to the game as a whole, and try to not limit ourselves idea-wise. Ultimately, if it works in the game, it can potentially make the cut. 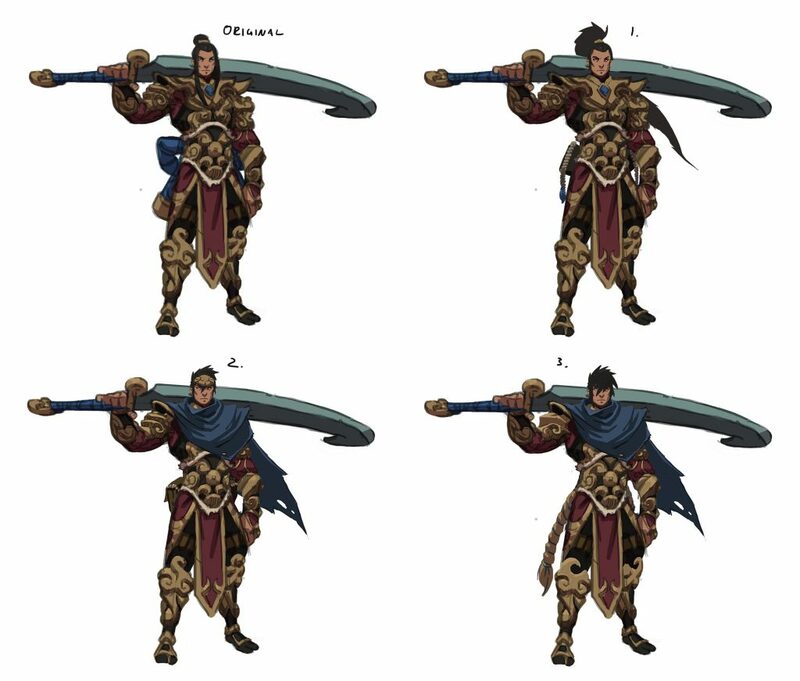 Coupled with the general design directions of Battlerite, such as making every champion unique in the way they play, fill their own role and fit into the game, this is usually how defined a champion is from the start. 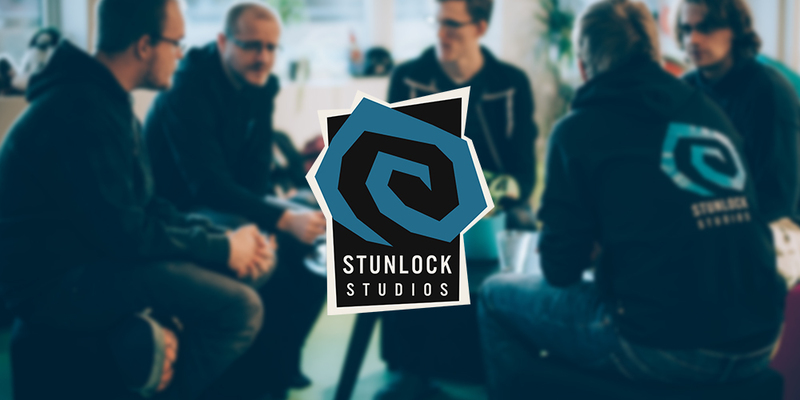 The Stunlock Studios Champion Team consists of Game Designers, Artists (Sound, 2D/3D art, Animators, VFX) and programmers. The team works closely together based on the original concept. We communicate regularly through messaging apps and Champion Meetings where we meet, goof around, go through the champion’s current state both visually and mechanically, discuss what to improve, introduce new ideas and plan ahead. We decided we wanted to make a two-handed sword fighter. We had none of those and it would fit in well with the “Broad Appeal” direction we wanted to take. Fans of BLC might notice the similarities between “Raigon” and fellow two-handed sword fighter “Reaver” from Bloodline Champions. We took some inspiration from “Reaver”, but ultimately, we wanted to find something new and unique that would fit our directions. Our 2D artists presented us with some awesome concept art and prototyping began from there. One of the first design decisions on Raigon’s abilities was to include a core mechanic that would grant him life back, allowing him to stay on and pressure his targets and sustain himself. Our definition of “Beginner friendly” meant conveying a clear goal to players, rather than just making him a “simple” or “easy” champion to play. Croak, for example, requires a bit more decision-making (as in jumping in and out to be effective) and is thus harder to learn to the point where the player is comfortable bringing him into competitive play. That being said, we are always working with skill ceilings and viability in mind, so the goal for Raigon would be easy to learn – difficult to master. Hello everyone! 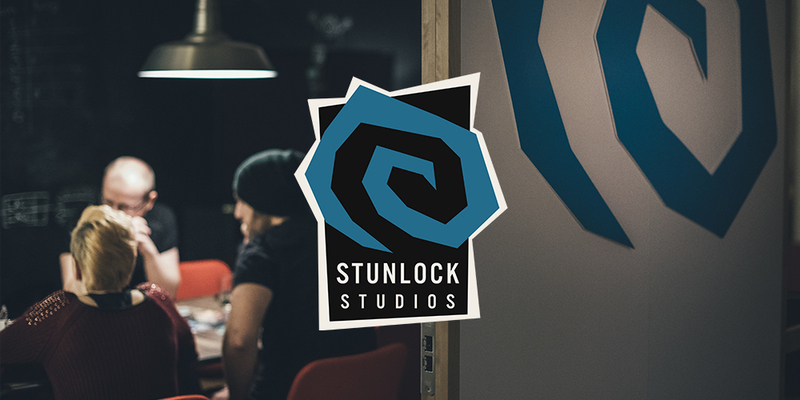 I’m Shelt and I’ve been working at Stunlock Studios (SLS for short) since the very beginning. My title at SLS is Creative Director. It’s a very fuzzy role, but within game development it often ties into the overall design vision of the game and its features. I’ve been given the honor to share some of my work and thought process with you guys for this Dev Blog post. This post will be focused around matchmaking and the new ranking system, where I will give you some insight into our vision, summarize our first season and what you can expect in the future. Designing and implementing a matchmaking system is a super exciting task, but also one of the most difficult in skill-based competitive games. A small difference in skill can make a huge impact on the match balance. Also having to take estimated skill, visual placement, server regions, champions, archetypes, game type, ranking type, party size, queue times etc into consideration when matching players doesn’t make it any easier. Finally, we also have the player needs; some players gladly sacrifice match balance for faster games but others do not. As many of you know we launched our first season and new ranking system that introduced leagues and divisions in December 2016. This system was designed to be more visually understandable, appealing and with improved rating changes. During the season several concerns were raised by our community which we tried to tackle along the way. I’ll go through some of them to explain our reasoning and solutions. Our first intention was to place people a lot lower than their estimated skill to give them a guaranteed positive progression. We wanted to prevent players from getting a better placement position than their end result for the season. This algorithm was very hard on the players and many of you felt like you were treated as the worst players in the world by being placed in low bronze, even though you felt good at the game. We completely understand this and a hotfix was made to increase the initial placement. This is a very interesting topic. What we did before was to value our estimated skill of the player (their hidden mmr) more than their visual position (their League placement) when it comes to matchmaking. Because some players are more active than others, the visual position could vary a lot even if we estimated the players to be equally skilled. We got a lot of complaints on bad matchmaking and we applied a hotfix which made the visual placement more important than our estimated skill when matching players. We got some great responses from that hotfix, telling us games finally felt a lot more balanced. The ironic thing is they actually became slightly worse. Here are some match result data from the Solo Ranked Queue taken before and after the hotfix was in place. We were aware that the match balance would statistically fall, but as we also guessed, the visual perception played a big part in how players experience match balance. We will keep a close watch on both community feedback and the match result data throughout the season to determine adjustments needed going forward. Welcome to the very first dev blog! My name is Katey and I work here at Stunlock Studios (SLS for short) as Brand Manager & UI Designer. If you’re an active reddit user, you may have seen me on there recently. I’ve been trying to answer questions and get more involved with the community. To start with we will aim for a dev blog to be released every Monday. The blogs will be written by a different developer each week and will also vary in subject matter. We want to open up about our development, give insight on decisions we’ve made, and involve you in the process. The first thing I want to mention is that some time this week we’ll be posting a bigger announcement that’s going to give you a better overview of what we’re focusing on in development in the months ahead. This will be a broader look at our development process, so if you feel like this blog falls short, be sure to check back for that upcoming post as it may give you more insight. In my blogs, I’ve decided I want to give you guys an update on random things that people in the office have been working on in the previous week. In the office, we’ve jokingly called this the “Katey going around annoying everyone” blog. I can also provide specific information about what’s going on in the user interface team, since this is where I primarily work. 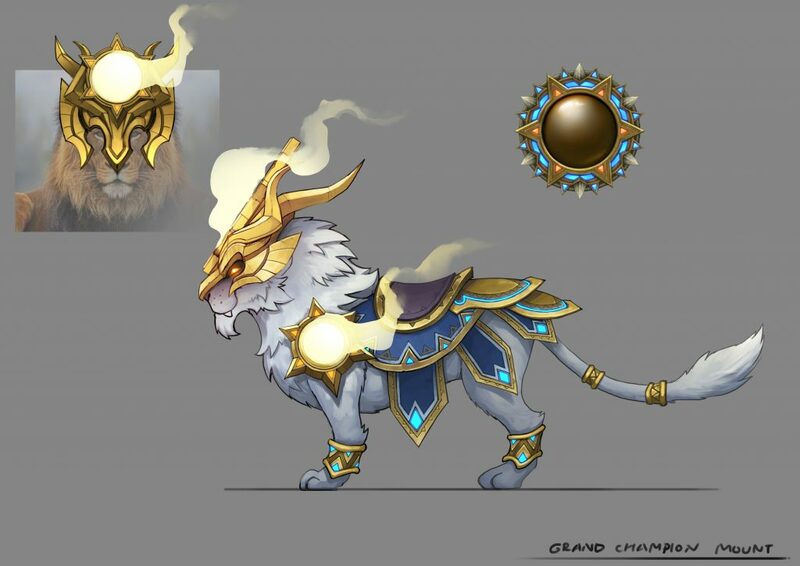 As the mount is for use by Grand Champions of the previous Season only, it needed to not only match the Grand Champion league icon, but also make players feel like kings of the arena. The art team felt that a lion was the perfect choice. 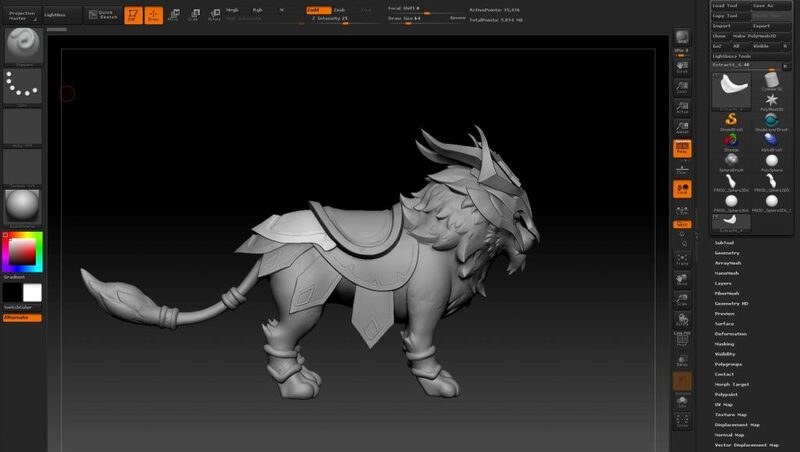 After the concept is nailed, it’s down to the 3D artist to begin sculpting the mount. Our 3D artist intern, Sofia Hansson (aka Chili), kindly shared some shots of the sculpt with me and talked about her process.